The Heritage Foundation is a conservative think tank, and it has published a study here that gives a visual as to what’s impending by 2038. 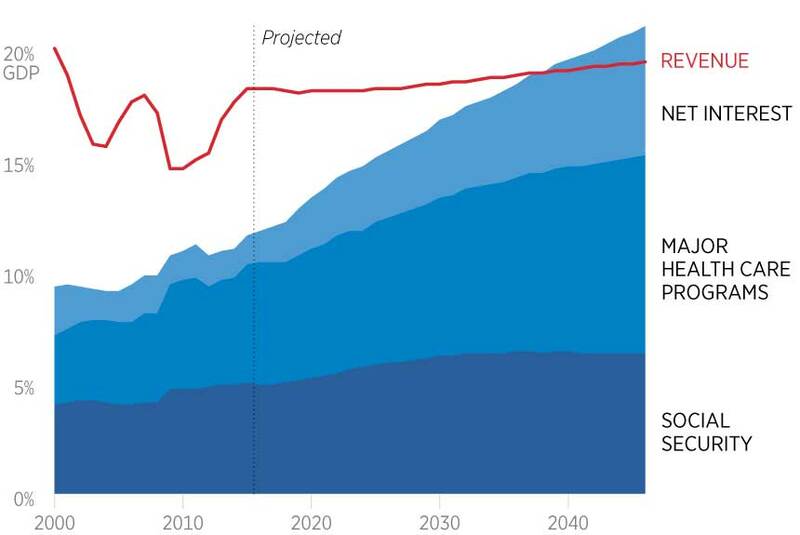 In 2038, required spending and interest on the debt consumes ALL of our tax income. This means that people should be very shrewd with how they are planning for taxes in retirement and as business owners. Because social security is growing at breakneck rates, and there’s been times when congress has raided the trust fun, I would tell every business owner that they should be planning for taxes to go up some day.